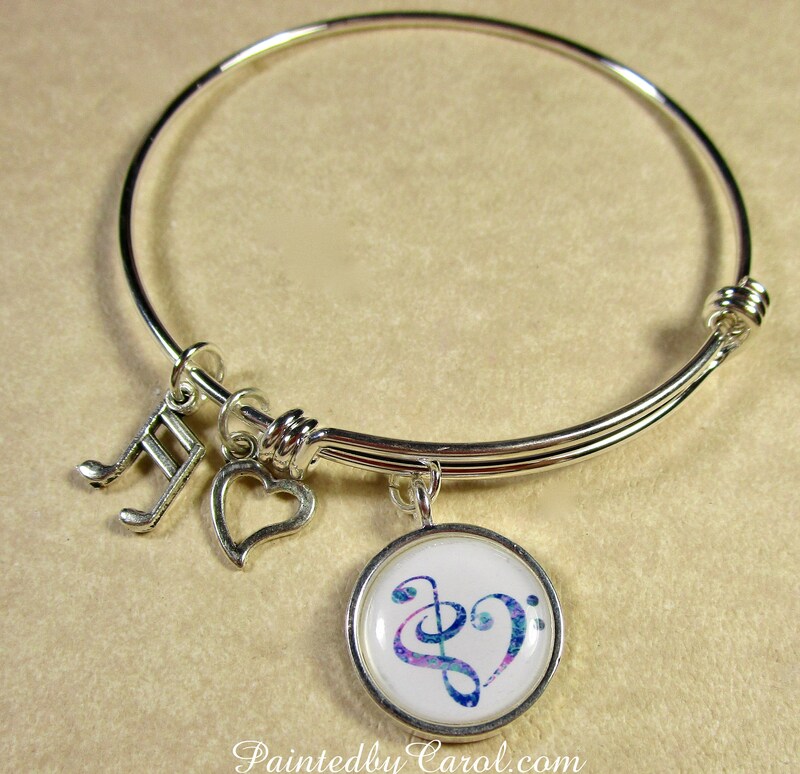 This music heart bangle bracelet features a treble and bass clef and is made using my acrylic pour painting. The expandable bangle bracelet is silver-plated brass and will fit wrists from 7 to 9 inches. The round charm features a 16mm cabochon of my painting. The silver-tone metal music note and heart charms are nickel-free zinc alloy. Other items available using this painting include: pendant, earrings, cuff bracelet, snap charm, cufflinks, tie bar, tie tack, keychain and cell phone grip skin.